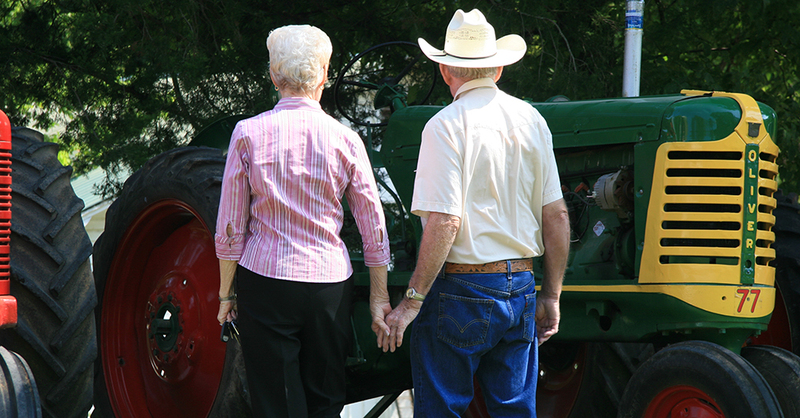 Comas Montgomery Realty and Auction Co. - Testimonials | Comas Montgomery Realty & Auction Co., Inc.
"My grandparents had purchased the farm in 1918, and the decision to sell was an emotional and difficult one, complicated by ownership by seven heirs in four states. We carefully considered a number of referrals before choosing Comas Montgomery. We wanted to work with a company that we could trust. It was very important that every aspect of the sale be done in a way that would respect and honor the legacy left by my grandparents. Comas Montgomery helped us achieve our goal. Thanks to all of you for a job well done. Our prayers were truly answered." "This was a very difficult and stressful year for us given the death of my wife’s father, selling property and possessions that had been in our family and our move to Texas. You made it all much easier for us, and we could not have done it without your knowledge, good reputation, long list of contacts and excellent advice and guidance. Everyone was experienced, professional, hard-working, and extremely considerate of our feelings as we dealt with life-changing events. Thank you for all that you did to cause each of our auctions to go smoothly and to produce such excellent results for us! We were extremely pleased with your company’s performance and would highly recommend you to anyone." "I’m so pleased about the outcome of the sale of my farm! I haven’t come down off my cloud yet! The auction seemed to go off like clockwork, but I know that was due to the many weeks of hard work you did in getting everything in order behind-the-scenes! People who attend, as observers, were impressed with the way it was conducted and I’ve heard nothing but favorable comments. Next to the financial part, the nicest thing was getting to know you and Comas and the others at Comas Montgomery Realty and Auction Co."
"This letter is to say “Thank you” and “Job well done”! You have no idea how much I appreciate all that you have done for me this year. Also, you probably have no idea how impressed I have been with what you were able to accomplish and the professional manner in which it was handled. When the decision was reached to sell the farm, I knew Comas Montgomery was the right company for the job. I fully expected excellent service, but Comas Montgomery exceeded my expectations by far! The professionalism and attention to detail is to be commended." "I just wanted to express how much I appreciate you and your staffs hard work in preparing and conducting the sale of our farm in Eagleville. Needless to say, your suggestions were right on target and we got the farm sold within thirty days (30) at a price which exceeded our expectations for the present market conditions. I have been in banking,real estate and healthcare for over thirty five years (35) and I have not worked with a more professional firm than you and your staff. I had the distinct pleasure of not only knowing, but being a friend of your father. Please know that Comas would be very proud that his sons continue to display the values which he built the company on from day one. Those value were hard work, honesty and fairness. Please know that if I need something sold in the future.......I will be calling on you guys!" "We want to thank you and everyone involved for ALL you did over the past 2 years to ensure the success of our seven auctions of our parents’ personal property and the sale of their home. We were very satisfied, not only with the results of the auctions, but also with the integrity of the process and your expert advice and guidance throughout the entire experience. When the day came to sell the house, we were very pleased with the professional manner in which you conducted the auction. All staff from your company were professionally attired (the navy jackets and khaki pants were impressive!) and so very attentive to every detail. Our family just stood back and watched as Charlie worked the crowd and you performed your magic! We thank you and your staff for your compassion and expert guidance during the difficult and emotionally challenging experience of disposing of our parents’ property. Your trustworthiness and integrity made the process much easier for us to manage. We would highly recommend (and already have!) Comas Montgomery Realty and Auction Co. to anyone. Thanks again for your services." Hayes Family - SOLD their parents’ Personal Property and Murfreesboro Home.